Last year I gave my readers a link to artist Amy Kirkpatrick's free 2013 calendar download, what I didn't do at the time was talk about Amy's gorgeous watercolour prints available from her Etsy store, Amy Kirkpatrick Fine Art. 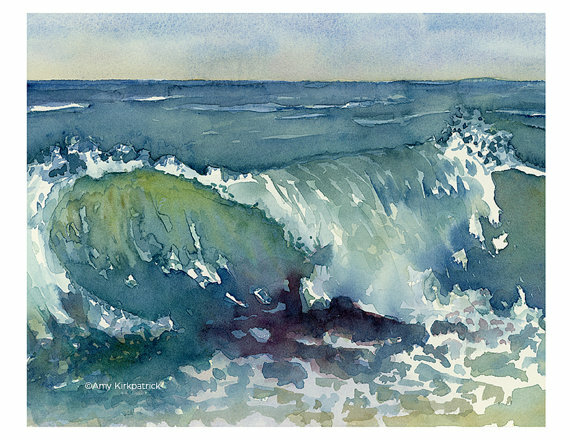 Amy is a talented water colour artist living in sunny California, and believe me as a former watercolour artist, it is one of the most difficult mediums to master, however Amy's talent has enabled her to create some beautiful paintings now available as prints from her Etsy shop. Recently Amy challenged herself to paint 100 butterflies in 100 days and her work was featured in Better Homes and Gardens. 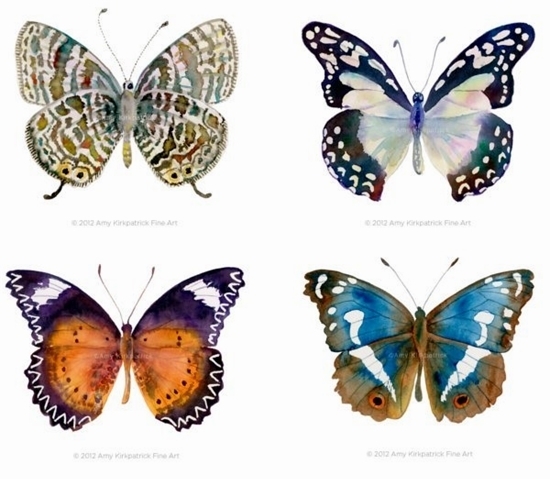 Her butterfly designs are also available as prints, I think they would look fabulous grouped on a wall. Amy has kindly offered my regular readers and visitors 10% discount on her prints, if you place an order, please use the coupon code LEECAROLINE to receive your discount. Amy ships her prints worldwide her lovely images are printed are on white glossy, acid free paper with vibrant, non fading inks, with an optional upgrade to museum quality watercolour paper. All Amy's prints have her original signature. 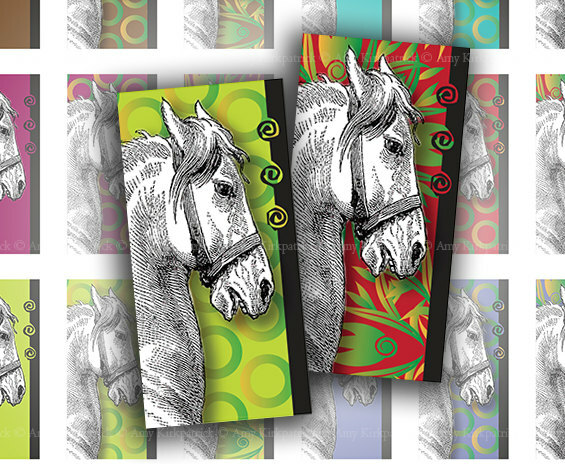 Amy also has a digital download store where you can instantly download an image to use in small businesses or crafts, the horses below are my personal favourite and would make great cards or bookmarks. I encourage you to visit Amy's stores and see her lovely works. 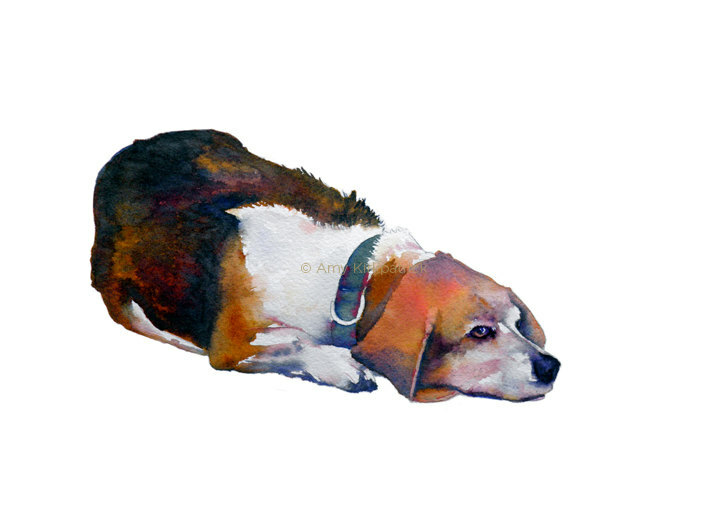 If you would like a pet portrait, Amy offers commissions and can be contacted through her Etsy site (link at the top of my page). 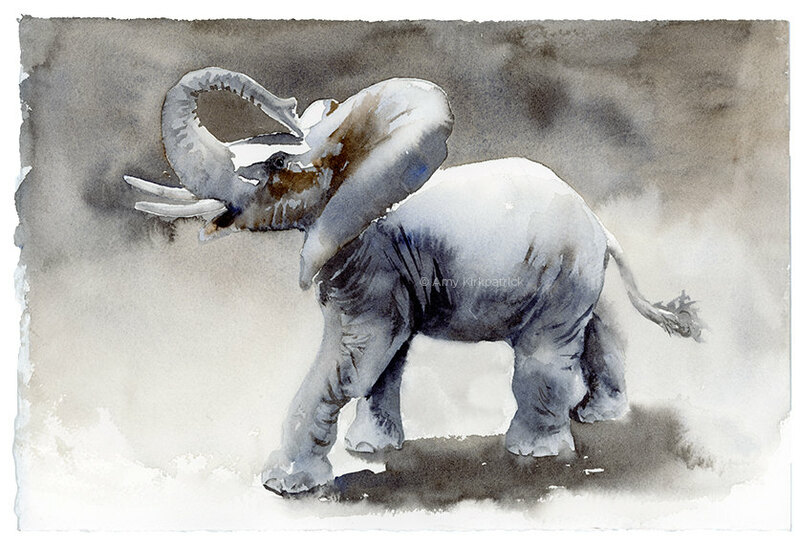 The Elephant is my personal favourite, I think it would look stunning in a black frame with white mat board. The butterflys also look great grouped together. I recently saw some similar in an interior but nowhere near as lovely as Amy's. Oh wow, 100 butterflies in 100 days! That is such a cool challenge, and her's are so pretty. She does have such a talent with the watercolors, and i agree, they are very difficult! Some challenge, I am struggling to get my brushes out, let alone a commitment like 100 butterflies in 100 days! There is another artist painting a dog a day for a year, I will try to post a link to her work, she has an exhibition at Anthroplogie in London. Anthropologie did send me a press release but I haven't had time to post it yet.